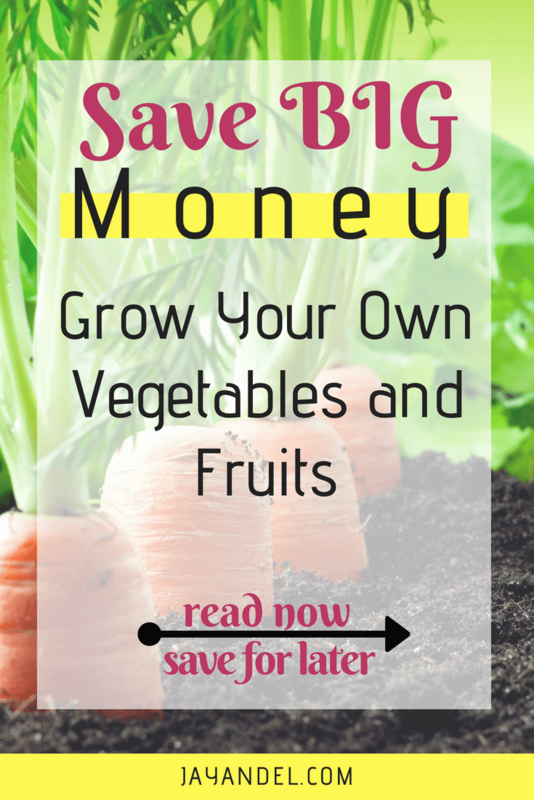 A home vegetable garden is one way to save money on grocery bills. A veggie garden is even good for feeding pets! Starting a home vegetable garden is easy. In a recession and other tough economic times, people start looking for creative new ways to save money. When it comes to shopping, some people have started clipping coupons and using coupon websites to save money on grocery bills. Other bargain hunters have started buying food and other items in bulk by shopping at wholesale stores like Costco and B.J.’s Wholesale Club. But there are also some more creative ways to save money that tend to surface when the times get tough. Many people have started growing their own food. And some suburban cities and towns have even changed their bylaws to allow residents to keep hens in as a source of fresh eggs. Using coupons and buying in bulk are simple but effective ways to save money on food bills, but many people are compelled to take it one step further when it comes to saving money on groceries and food bills. Many have given a new meaning to the term “locally grown vegetables;” they’ve started growing their own food at home with a vegetable garden, which serves as an effective way to spend less on produce items like vegetables. 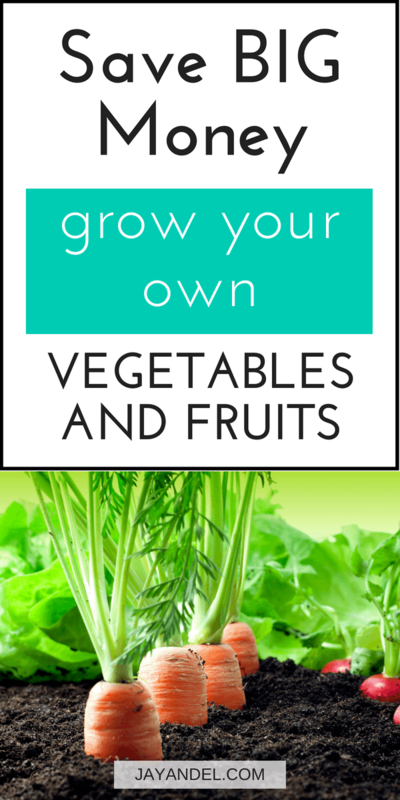 Growing food at home is easy, cost-effective and fun! Starting and maintaining a home vegetable garden is actually quite simple and inexpensive, particularly in the long term. By growing food at home, less money is spent on buying produce at the supermarket. 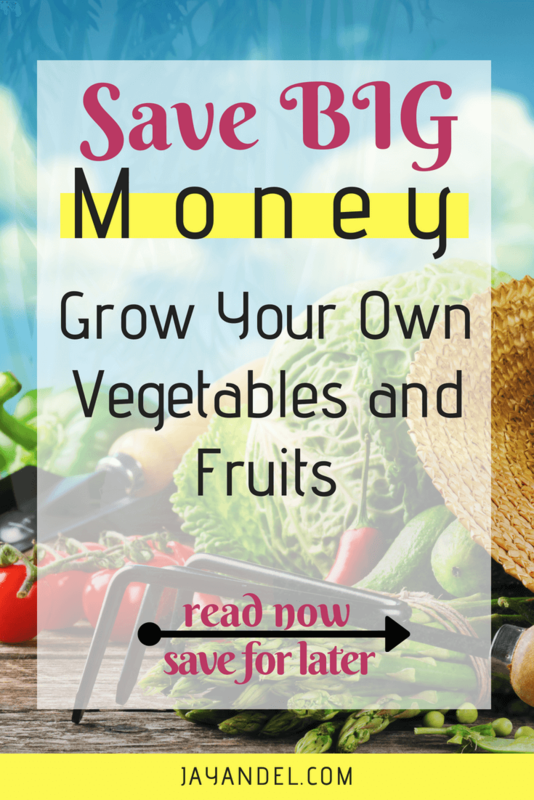 In fact, once a home garden matures, it’s possible to entirely eliminate the need to buy vegetables at the supermarket, which means serious savings on food bills. Homegrown vegetables straight from the garden also mean that your family can enjoy non-genetically engineered, pesticide-free veggies. So, not only will growing your own food save you money, but gardening is also great for stress relief. Vegetable gardens can take two forms: a traditional garden situated outside in the yard or a container garden. A traditional vegetable garden has the advantage of being inexpensive to create and the volume of produce is typically much greater since an outdoor in-the-ground vegetable garden is generally much larger than a container garden. The disadvantage of a traditional garden is the fact that the vegetable growing season is limited to a few months out of the year in many regions and each year, the garden is essentially started from scratch. But for those living in a subtropical or tropical climate, a traditional garden is ideal since vegetables can be grown year-round. Vegetable gardeners who can grow food at home year round also have the advantage of saving money by purchasing seeds instead of seedlings, since they have the luxury of time, whereas residents of more seasonal climates are better off purchasing seedlings or medium-sized plants due to the limited growing season. The second method of growing vegetables at home involves container gardening. The start-up costs associated with a container garden are much higher since the gardener must purchase plant containers and potting soil. Container gardening is good for gardeners who live in an apartment or house without a yard. Container gardens are also great for gardeners in an area with a limited growing season, since the vegetable garden containers can be brought indoors before the first frost. Container gardens can even be kept inside throughout the winter months, stored in a basement or other similar area and nurtured with grow lights. Growing food at home can provide some wonderful opportunities. A plentiful harvest of tomatoes or another vegetable creates an opportunity to try new recipes that use a particular freshly harvested food. Veggies from the home garden can also be used to feed the pet rabbit or guinea pig, while dog owners can offer healthy fresh dog treats in the form of carrot or celery slices. Vegetables can be given as a supplement to the dog’s meals – a great way to add variety, vitamins, and nutrients to a dog’s diet. Vegetable gardeners who live in a subtropical or tropical climate have the advantage of keeping their vegetable garden year round, which means saving more money on groceries and an opportunity to start a small home farmstand of sorts. Residents who have the ability to grow their own food year-round can maintain a larger-than-average vegetable garden that can grow a significant amount of produce on a regular basis. Vegetable gardeners can sell fresh homegrown vegetables from home, to neighbors or at a local farmer’s market. 5 Ways to Cut Your Grocery Bill without Coupons! Also, I would love to connect with you via Facebook or Pinterest and if you would like more helpful content from this blog, be sure to follow us on Bloglovin. Please use the comments section below! Follow us on PINTEREST for more Money Saving & Gardening Tips!